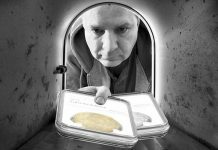 A Weekly CoinWeek Column by Greg Reynolds …….. The second in a series of auctions of the Pogue Family Collection was conducted by Stacks-Bowers, in association with Sotheby’s, on September 30, at Sotheby’s world headquarters in Manhattan. Although just 105 coins were sold, the total proceeds were more than $26 million. 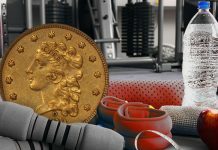 As the four coins that sold for more than $1 million each have received so much attention in the media, the focus here is on some, not so famous, rare gold coins that are newsworthy. 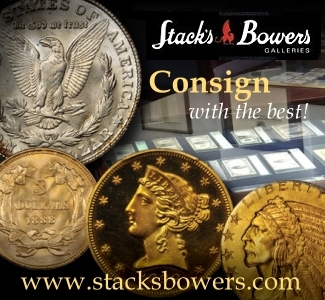 “Stack’s-Bowers conducted a very successful auction,” declares Scott Travers. 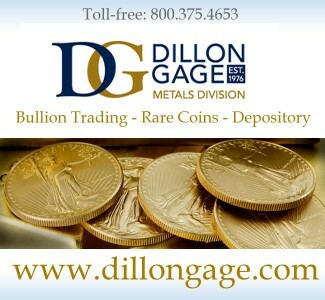 “Prices for rare gold coins were generally excellent. 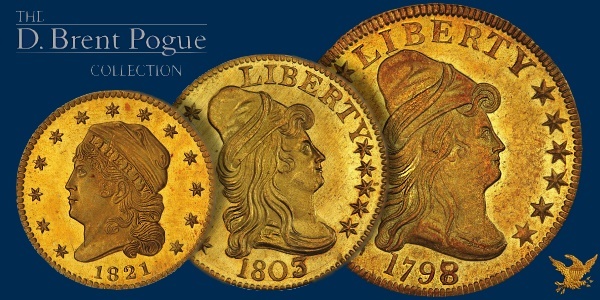 The rarest gold varieties of half eagles and eagles from the 18th century were amazingly represented in this sale and fared particularly well.” When interviewed for my review of the first Pogue sale in May, Travers noted that some coins “fell through the cracks” and provided “opportunities” for “astute” bidders. This time, he says, “coins did not fall through the cracks. Prices were strong overall. There were not many surprises. There was very active collector participation,” Scott adds. Richard Burdick agrees that Pogue II “went better and prices were strong. The Pogue II sale was much more collector-driven than the Pogue I sale. 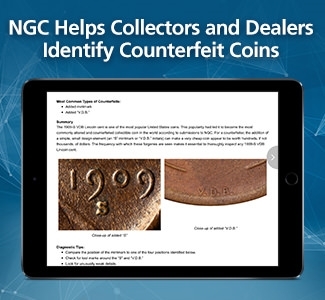 In May, dealers were getting coins for inventory. That did not seem to be happening nearly as much this time. 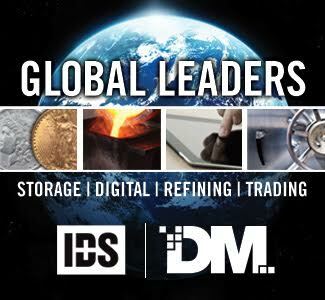 I saw collectors bid on a lot of coins and I believe many serious absentee bidders were collectors, too.” Richard has been attending major coin auctions for more than forty years, including Garrett, Eliasberg, Amon Carter, Starr and Newman sales. Richard and I agree that markets for rare coins are “not much different now” than they were May. Markets for rare coins are mildly active and stable for the most part. Auctions should be understood within the framework of current market realities. Although both Pogue auctions were successful, the Pogue II sale was much more so. 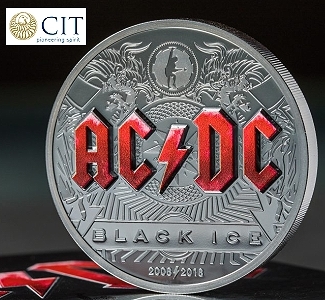 The event added spice and generated enthusiasm, as current coin markets nationwide are mild. John Albanese said that “the sale went better than I expected. Most prices for gold coins were retail. I could not buy one coin for inventory. 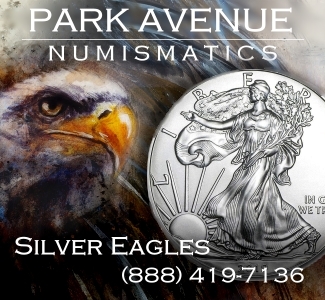 The early half eagles did especially well.” Albanese is the founder and president of CAC, in addition to being a leading wholesaler of rare gold coins during most of his life. The present discussion is limited to selected gold coins, almost all of which brought noteworthy strong prices. Capped Bust half dollars in this sale will be covered next week. The finest known 1795 Flowing Hair silver dollars were analyzed last week. A future article may be about the Classic Head quarter eagles, or at least center around those in the Pogue Collection, which had one of the all-time greatest sets of Classic Head quarter eagles. The Parmelee-Eliasberg-Pogue 1821 is PCGS graded as MS-66+, is CAC approved, and sparkles. The Eliasberg Collection is considered by many to be the all-time greatest assemblage of classic U.S. coins and the Parmelee Collection is in the top twelve, perhaps in the top five if pre-1793 American items are factored into the rankings. Another past owner, former Congressman Jimmy Hayes, is one of the most famous living collectors. The $558,125 result was very strong, really one of the strongest results in the whole auction. Gold coins worth more than a half million dollars each tend to be Great Rarities, be very famous, and/or be ‘better dates’ in series that are collected by a large number of people, like Saint Gaudens double eagles. It is astonishing that this piece brought more than a half million dollars. The Parmelee-Eliasberg-Pogue 1821 is a lively and dynamic coin that really comes alive when tilted under a lamp. Were the personality and eye appeal of this coin a major factors in the minds of leading bidders? For a pre-1835 quarter eagle, the Pogue 1825 is amazingly original, perhaps one of the most original of all survivors. Although the assigned MS-67 grade is not agreed upon by all major players, there is no controversy regarding the originality and rich natural toning that this wonderful coin exhibits. The Pogue 1825 quarter eagle was almost certainly never dipped and never subjected to a chemical cleaning. There are only minor imperfections. The $499,375 result is certainly a retail price. If I had a vast budget for classic U.S. type coins, I would often be drawn to extremely original coins even if I was not in agreement with the assigned numerical grade. 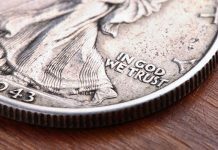 The originality of a coin relates to its history and character. 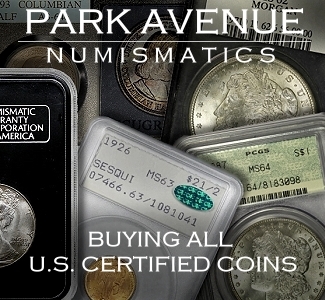 Originality also is central to the culture of collecting classic U.S. coins. 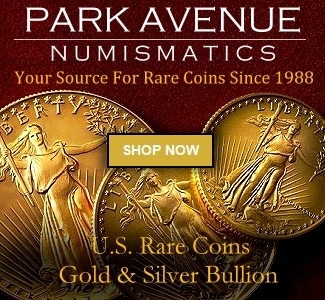 Many of the greatest collections of all time were characterized by a large number of 19th century U.S. coins that scored very high in the category of originality. Although grading standards and criteria change, and “MS-67” had a different meaning in 1990 than it means in 2015, originality continues to be an attribute of great importance. 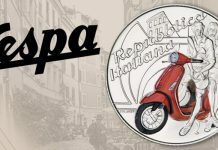 In the realm of coin collecting, originality is not a fashion or a trend. 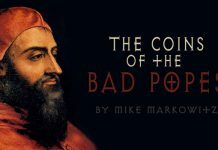 No one expects all the coins in an epic collection to be very original. For some dates, there might not be any very original coins available, maybe not even any in existence. While the Eliasberg, Norweb and Garrett Collections had some coins with problems, they were known for each containing a substantial number of rarities that rate highly in the category of originality. The 1795 eagle that brought $2,585,000 was formerly in the Garrett Collection, and I am pleased that so many collectors who I know raved about the originality of the coin. There are 1795 eagles that are brighter, lighter in color and/or more dynamic. The Garrett-Pogue 1795 eagle has never been dipped or subjected to cleaning solutions. No pastes, gels or automobile putty has ever been added. It just has great original gold color and natural brown-orange toning. The Pogue Collection is part of this tradition. 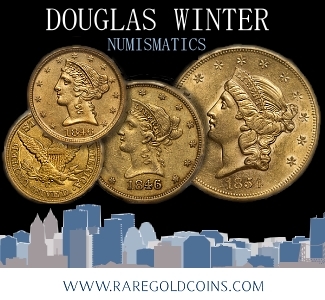 Indeed, there are many coins in the Pogue Collection that were formerly in the Garrett, Eliasberg, Norweb, Earle or Starr collections, all holdings that scored highly in the category of originality. So, this 1825 quarter eagle should be treasured as an important item in the culture of coin collecting, as so many coins from the 19th century have been blatantly dipped or otherwise modified. Of course, $499,375 is a very strong price, far into the retail range. 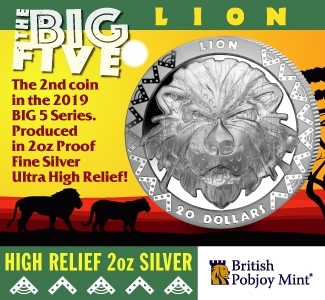 Although I do not know why the buyer chose this coin, a coin enthusiast who studies the physical characteristics of coins and the culture of coin collecting will, hopefully, understand why this price makes sense on a cultural level. An extremely original, gem quarter eagle from 1825 has probably been in collections for generations and is an American artifact in addition to being a rarity of considerable interest to coin collectors. 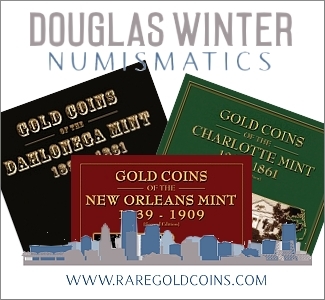 It is hard to put a price on furthering a tradition that is central to history of coin collecting in the U.S. for more than 150 years. The role of the Pogue Collection in this tradition has yet to be fully defined and is a topic for further discussion over the next year. The already mentioned PCGS graded MS-66+ 1821 brought more than the PCGS graded MS-67 1825, $588,125 versus $499,375. Is the 1825 a better deal? The 1821 is livelier, though the 1825 has a crustiness and character that most sophisticated collectors tend to value to a tremendous extent. I would rather own the 1825, though I understand why many coin enthusiasts found the 1821 to be more exciting. They are both awesome coins. The Pogue 1829 quarter eagle is PCGS graded MS-65. This coin has the technical characteristics of a 64 and the eye appeal of a 66. The 65 grade is probably widely accepted. It is very brilliant and more than very attractive, another memorable gem from this auction. This exact same 1829, in an equivalent holder, was auctioned by Stack’s for $132,250 in July 2008, around the time that markets were reaching all-time highs for most rarities. Capped Head quarter eagles never entirely recovered. The catalogue estimate for this coin, $100,000 to $150,000, is a little puzzling. It is not worth as much now as it was in July 2008 and the $132,350 result then was strong. The $105,750 result now is a strong result as well, given the current market environment. Indeed, it is a retail price, which is unsurprising. This is a very desirable coin for a type set or a date set. The 1795 ‘Small Eagle’ half eagle is among the most classic of type coins. This coin is a representative of the first issue of $5 gold coins and the first year of U.S. gold coins overall. The Garrett-Pogue 1795 half, with ‘Small Eagle’ reverse, is PCGS graded as MS-65 and is CAC approved. It has particularly appealing natural colors, including brown-russet tints in the outer fields and tan-green inner fields. The reverse exhibits a cool orange tone. The Garrett-Pogue 1795 is more than very attractive. It does not grade 66 because of small groups of hairlines and contact marks here and there, none of which are very noticeable. For a 65 grade coin, it is great. No one I know doubted that it is of gem quality. “I loved the color, heck of a coin,” John Albanese exclaims. “This might be the best ’95 Small Eagle five.” Albanese has traded or just graded a large percentage of the finest early gold coins. The $646,250 result is an auction record and a strong price. The second highest result for 1795 ‘Small Eagle’ five, $586,000, was realized by a PCGS graded MS-65 coin that is inferior to this one, though certainly desirable. Stack’s (NY) auctioned the other one in June 2008 shortly before markets for rare coins peaked. In the current environment, $646,250 is a landmark price, an auction record that will last for a while. Coin markets now are far from levels that prevailed in June 2008. The strong price is a testament to this coin, not to market conditions. Another PCGS graded MS-65 1795 ‘Small Eagle’ $5 gold coin would probably not have realized nearly as much in this auction. This Garrett-Pogue 1795 half eagle is somewhat famous; it has not received all that much attention in this auction because it has been overshadowed by the $2.585 million, Garrett-Pogue 1795 eagle. The originality and toning of the Garrett-Pogue 1795 half eagle is a physical connection to the epic Garrett Collection. 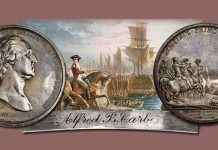 Although the Garrett sales from 1979 to 1981 were before my time, they are legendary and could have been the most exciting coin auctions of all time. The Sydlak-Pogue 1803/2 is becoming famous. During lot viewing sessions and in later discussions, it was a frequent topic. The Sydlak-Pogue 1803/2 is PCGS graded as MS-66+ and CAC approved. The reverse, by itself, perhaps qualifies for a 67 grade. Miss Liberty’s hair and some of the stars really glow, as does the eagle on the reverse! This coin is more than very attractive overall. “One of my favorite coins in the sale, for sure,” John Albanese declares. Although those building sets ‘by date’ would like to own it, this 1803/2 has the value of a type coin. 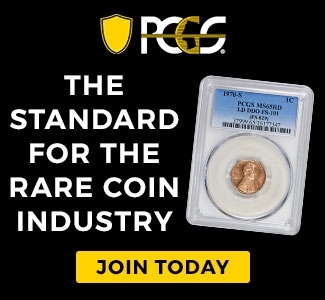 There is never ending, substantial demand for coins that are among the highest certified of an entire design type from buyers who are assembling type sets, including but not limited to collectors who have registered or plan to register type sets on the PCGS or NGC sites. There are an extremely small number of coins that are PCGS or NGC graded above MS-65 for this entire design type. Among Bust Right, Heraldic Eagle $5 coins, CAC has approved just four at the MS-65 level, and two at the MS-66 level including this coin. 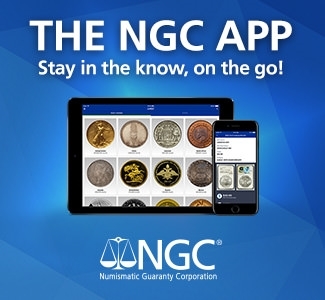 Experts at CAC ignore the plus aspect of plus grades assigned by PCGS or NGC. The $440,625 result is strong, though not as strong as it seems. Before the auction, price guides valued this coin between $300,000 and $375,000. For such a coin, however, the origins of the numbers in price guides should be subject to question. As coins that grade above MS-65 for this design type are such condition rarities and trade infrequently, it is hard to conceptualize values. Half eagles of the Bust Left design type (1807-12) are much less rare and values for those should not be employed to estimate values for Bust Right half eagles that trade infrequently. The value of the PCGS graded MS-66, Garrett 1813 Capped Head half eagle is far more pertinent. To an extent, Capped Head fives are analogous to Bust Right, Heraldic Eagle fives. Gems of both series are similar in condition rarity, and most of the issues in both series are very rare to extremely rare in all grades. There are more Great Rarities in the series of Capped Head half eagles, though there are also more issues in total. In January 2005, the PCGS graded MS-66, Garrett 1813 brought $316,250 and would probably be worth significantly more in the present. If I remember correctly, the Pogue 1803/2 is of slightly higher quality than the Garrett 1813. Their respective grades, however, are close enough for their values to be closely related, given that the series of Bust Right half eagles and Capped Head half eagles parallel each other in terms of condition rarity in gem grades and rarity overall. In January 2011, the Miller 1823 half eagle realized $299,000. 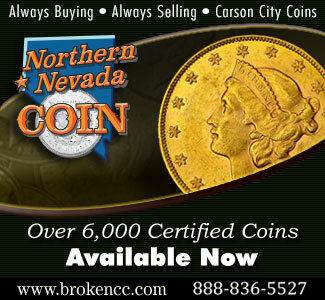 It is NGC graded MS-65 and CAC approved. This $299,00 result suggests that a CAC approved MS-66 grade 1823 might have then sold for more than $400,000, if it existed and was offered. In January 2014, Heritage auctioned the PCGS graded MS-66, Akers 1826 half eagle, which is CAC approved, for $763,750, though the same coin realized less, $564,000, at auction about one year later. Although 1826 half eagles are much rarer than 1803/2 half eagles, it is likely that most prospective buyers for the 1826 would have sought it as a type coin, rather than as a date. Other than the Pogues, Harry Bass and Harvey Jacobson, at the moment I cannot think of anyone else who, since 1985, has collected Capped Head half eagles ‘by date.’ I have heard rumors of one or two others. There could be two more that I have never heard about. If the $763,750 price is tossed as an anomaly, the $564,000 result for the Akers 1826 seems directly relevant to the 1803/2, as 66 grade extreme condition rarities. It could be fairly maintained that the Akers 1826 and Pogue 1803/2 should have values in the same league. It is acknowledged that the 1826 is much rarer overall. In a cultural realm, however, no analogy will be entirely accurate. There is no doubt that most experts would grade the PCGS graded MS-65+ 1807 as at least MS-65. The originality of this coin is very appealing. It was never chemically cleaned and shows no sign of deliberate mishandling. If it was ever dipped, the dipping occurred many decades ago. It may have never been dipped. The colors are stable, natural and very pleasing. The mellow green-tinted, medium gold texture is really cool. This is the finest 1807 Bust Right half eagle that I have ever seen or heard about. Importantly, it would be a terrific representative of the design in a type set. The exact same coin, while PCGS graded as MS-65, realized $195,500 in an ANR auction in March 2006. The $235,000 realization is likely to be a price that falls well into the retail range. This is one of the highest quality representatives of the Bust Right, Heraldic Eagle design type. One of the strongest prices in the auction is $705,000 for a variety of 1798/7 overdate eagles ($10 gold coins). During the 20th century, people collecting bust eagles ‘by date’ generally sought two 1798/7 eagles, with different star formations on the obverse. In another words, by tradition, two different varieties of 1798/7 eagles each have the status of a distinct date. There are also people who collect bust eagles by die pairing and they would certainly demand a 1798/7-7×6. Before the auction, I would have figured a retail range of $300,000 to $400,000. The PCGS price guide value for this coin was $345,000 before the auction. This $705,000 result is an auction record that is likely to stand for a while. There were many strong to very strong prices for gold rarities in the sale, though there were occasional moderate or weak prices. It is important not to view a sale, a collection or a market environment in ‘all or nothing’ terms. The greatest of baseball players struck out now and then. The greatest of coin collections will have some pieces with problems. The sharpest of bidders will make mistakes. The best of auction firms cannot sell every lot for a very strong price. I will not exaggerate, partly because exaggerations can easily have the effect of harmful lies. Alternately, exaggerations or blanket statements cause people to doubt points that are being communicated. 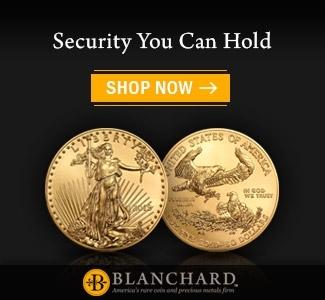 Besides, to understand coins offered in any major auction, it is important to consult experts. In this case, the bare truth is excellent news. The Pogue II event was very well attended, especially for an auction in the Internet era. There was also considerable collector participation by telephone and through agents. Travers points out that it is unusual for the coins to be auctioned to be on display in the vicinity of the auction room, and this was true at Sotheby’s. People walked past the coins on their way to the auction floor. Anyone could see the coins in display cases, even while the auction was ‘in progress,’ and many people clearly enjoyed doing so. The finest known Childs-Pogue 1804 silver dollar and the Eliasberg-Pogue 1822 half eagle were on exhibit as well. Collectors in attendance were very animated. There was very enjoyable talk about the coins being auctioned and about coin collecting in general. Dealers were raving about coins as well. I have attended countless auctions during the last twenty-five years, including a multitude of epic events. 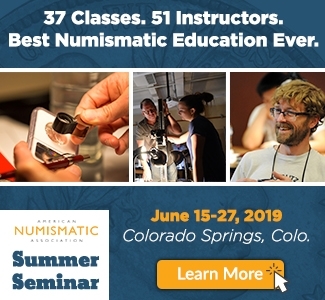 In many cases, those in attendance are dealers who talk about coins from a business standpoint, including much conversation about which coins may be upgraded. 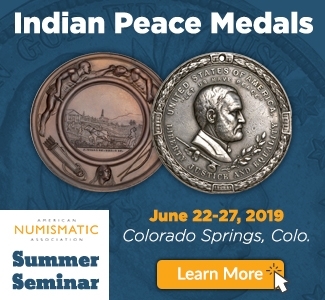 At the Pogue II event, there was more focus on the characteristics of the coins among attendees from perspectives relating to cultural appreciation rather than profit motives. Moreover, while many auctions have the ‘feel’ of a work environment, the atmosphere at the Pogue II event was energized. It is a phenomenon that occurs at only a small percentage of auctions and is not really explainable. Eliasberg sales were certainly energized. Two of the Newman sales were, too. I am not referring only to bidders. Knowledgeable observers and advisors contributed to the excitement in the room. During the Internet era, it is more difficult for such energy to be generated as people may participate from a distance. Nonetheless, it happened at the Pogue II event. 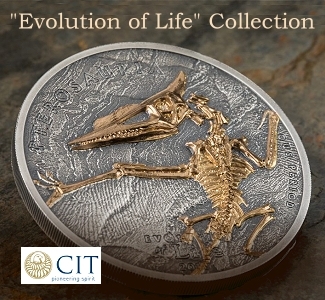 Amazing coins, and a once in a lifetime opportunity for collectors to own various important rarities and grade rarities. Good write-up.